Brian is the quintessential 21st century northern bluesman - a study in contradiction, starting with the title of his album, "Overqualified For The Blues". 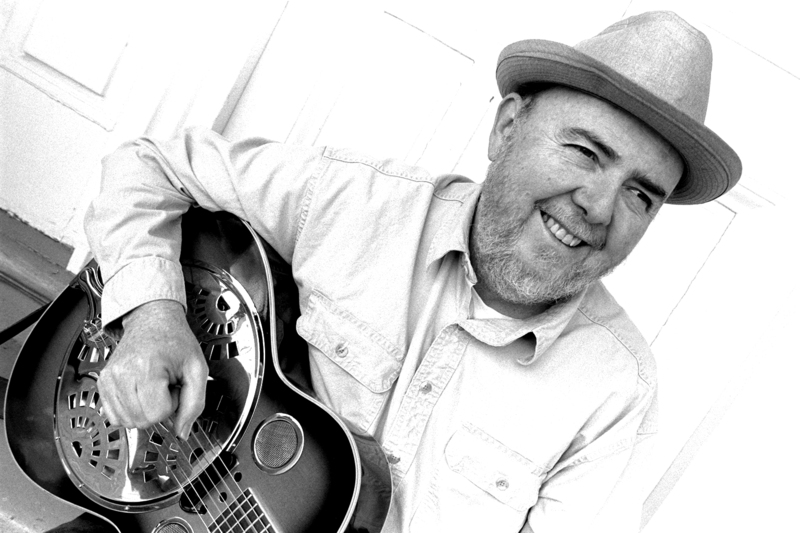 His guitar style is as authentic and soulful as you will find in any blues - south, east, west or north - but his lyrics reveal a unique, contemporary point of view. His vocals do not sound like some old blues guy, yet he is an old blues guy, with 60 years of life experiences and 40 years writing and singing about them (on the same guitar). His lyrics are thoughtful but he's an entertainer at heart. 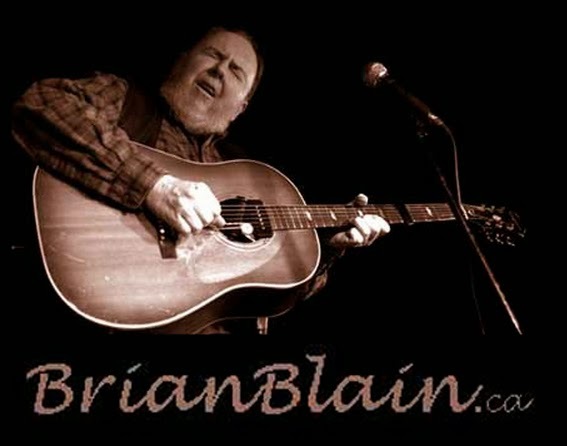 Brian has 3 acclaimed CDs of original blues-based songs including his latest, New Folk Blues. How do you take your Brian? 3. Bluesgrass Boys - Brian with banjos and fiddles. 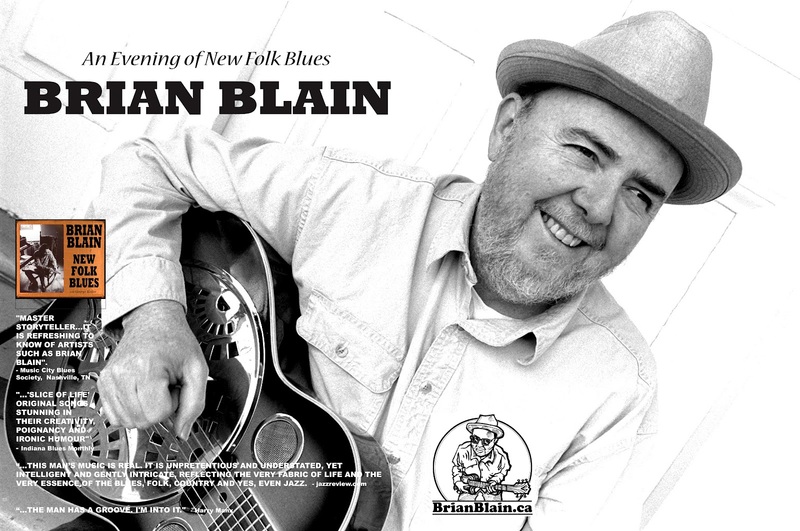 Brian Blain is a popular mainstay of the Toronto music scene both as a player and behind the scenes. Originally from the hills of rural Quebec, he has been performing his unique brand of slow-cooked, contemporary country blues for more than 40 years - soulful, thoughtful, always entertaining. It’s blues-based original music with humour, interesting stories and a "relentless groove" (Blues Scene Quarterly). Brian's NorthernBlues CD features four tracks with Michael Jerome Browne and guest appearances by Harry Manx, Paul Reddick, members of Downchild and many other Toronto blues luminaries. A full blown blues revue with a six-piece band featuring stars of the Toronto Blues Society's Women's Blues Review. Now accepting dates for 2008 festivals. Click here to view a mini-montage from last year's Toronto Jazz Festival appearance featuring Carrie Chesnutt, Colleen Allen, Lily Sazz and Henry Heillig. An all-acoustic, mostly instrumental project for occasions which require lively background music. Typically three or four players with Brian calling upon some of the best and brightest players on the Toronto bluegrass scene. 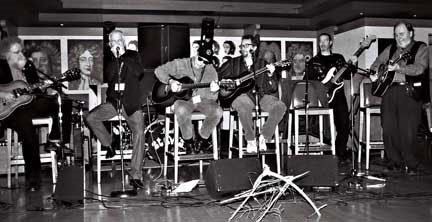 Brian is pictured at right with Burke Carroll and Drew Jurecka of the Bebop Cowboys playing on the Subway at a Toronto "Live with Culture" event. Blues in the Schools Brian Blain has been a popular Blues In The Schools artist in programmes sponsored by the Toronto Blues Society, The Orangeville Blues & Jazz Festival and Stellula Music (Barrie/Midland). Brian's lesson plan consists of a geographical, historical and musical tour through the Southern United States starting with work songs from the slaves in the Mississippi cotton fields, following the development of blues in New Orleans where it became more sophisticated with the addition of new instruments, Memphis (where black artists were able to record for the first time), St Louis (where W.C. Handy was able to write down a blues song in musical notation for the first time and have it published across the USA, and ultimately to Chicago where "the blues had a baby and they called it Rock 'n Roll." 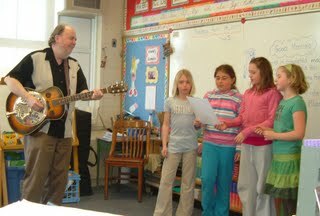 Brian also facilitates a blues songwriting session (2 periods required) where students get to write and perform their own blues song.